"I have nothing but positive feedback for your company--thank you for helping to make our big day go so smoothly and for getting everyone home safely..."
Just want you to know that I am so grateful to you and Newport Limo. Brian was "over the top" -- very attentive to my daughter and her bridal ladies/posse as well as Tyler and the groomsmen. When Brian arrived on Friday morning at the Hampton Inn to take us to the salon, it was rainy and windy, like a monsoon! What a welcome sight to have a beautiful, white stretch limo waiting for us with Brian helping everyone with a large umbrella. Brian's warm, positive personality made everything absolutely perfect. 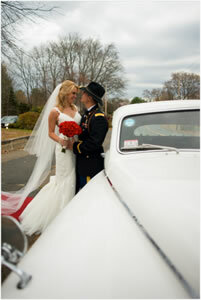 I am so pleased that we worked with Newport Limo!! I could not be more pleased with the service provided by Newport Limo. The transportation to and from the ceremony went like clockwork. The drivers were courteous, professional, and went out of their way to accommodate all of our needs. All of our guests commented on the quality of your service. I would definitely recommend Newport Limo. 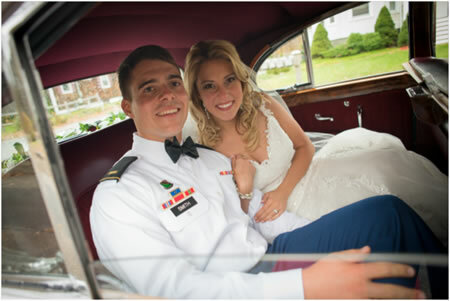 We hired Newport Limo to provide transportation for our wedding party & guests and were very happy and would recommend their services. Judi is very professional, understanding and kind. Leading up to our wedding day, Judi always made herself available, however, during peak wedding season it was sometimes difficult to catch her by phone. This made me nervous at first, but she always returned my call or e-mail and everything day of worked out perfectly. All of our guests raved about how nice & professional drivers were, and most importantly, they got everyone where they needed to be safely & on-time. 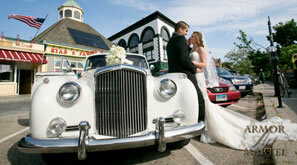 I would recommend using Newport Limo, and found them to be way more professional than a lot of other options. The only thing to consider, is until the drivers are selected (usually about a week before the event), you have to wait to really lock down details in the plans. Thank you for coordinating the events on October 5th. Everything went perfectly. If something did go awry, we did not notice. All the drivers were excellent. No complaints. We would not hesitate referring your company to friends and family. The service was beyond our wildest imagination!!! 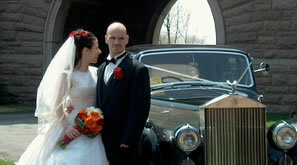 The car was ABSOLUTELY stunning and fit right into the vintage wedding theme. The driver was incredibly personable and he was one step ahead of us. Once he arrived we didn't have to worry about a thing. The little extras of the red carpet and champagne waiting for Ashleigh and Matthew when they came out of the church were the perfect touches to a perfect wedding!!! Everything about this service was first-rate and we would HIGHLY recommend it to anyone!!!! Wedding: Ana & Thomas O.
I have nothing but positive feedback for your company--thank you for helping to make our big day go so smoothly and for getting everyone home safely. I would be happy to share pictures when we get them and will also gladly fill out the survey. Hi Judith! Thank you very much for checking in. Everything was wonderful and the coach buses we rented were wonderful. The guests only had great things to say about the drivers and how nice the buses were! The whole day went off without a hitch and we enjoyed every moment! Thank you again for all of your help. Please feel free to send over the review request. I would be happy to fill it out for you. Attached are just a couple of photos of my husband and I. We do not have the professional photos yet. Wedding: Kellyn and Mike G.
Just wanted to thank you. Everything went smoothly. The drivers were very professional and the cars were beautiful, especially the Bentley. I can't wait to see it in the pictures. Thanks again. I will be sure to recommend your company to others. Thank you so much for sending along your pictures! Please know that everything with the Bentley and Trolley was perfect. 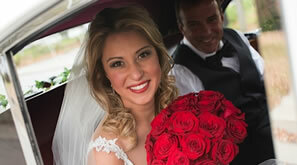 Vanessa and Justin were simply thrilled with the transportation. Just as an FYI .... 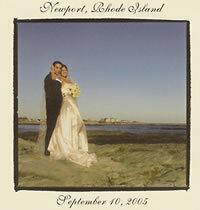 I did receive a phone call a couple weeks back from a someone who is planning a wedding in Newport. She is from Old Lyme, CT and was looking at Belle Mer for her son's wedding/reception venue and wanted my feedback. I took the opportunity to give her your name and your business website link. I advised her that you were "the best of the best" and very connected in being able to obtain various types of vehicles. I mentioned the Bentley and Trolley. Hopefully, she will (or has) connected with you. 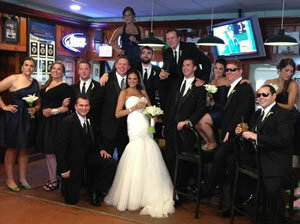 I am also elated that you would like to utilize a picture from Vanessa's wedding. Please note that Chris Martel, our photographer, has a picture taken on the wall between America's Cup Avenue and Thames Street. Enjoy the rest of your summer - and thank you again for sending the pictures. PFP were very happy with your service! They thought it was great. I wanted to thank you for your assistance with the guest transportation for the Raske wedding weekend of events on June 4th, 5th & 6th. All did an amazing job with getting our guests where they should be on time, which we all no is not the easiest of tasks in the summer in Newport traffic. The vehicles were beautiful and impressive and the drivers so very accommodating and a pleasure to work with. 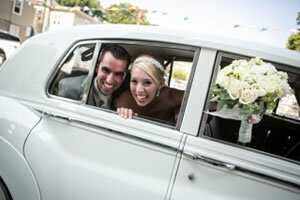 Lisa and Matt loved the departure in the vintage Bentley...A wonderful time was had by all - thank you so very much! My party and I had a great time on friday. Mike was awesome and kept everything on schedule! Thanks again for all your help leading to our night out. I'll be sure to recommend your business in the future. You all need to pat yourselves on your back......what everyone prepared us for was a nightmare with transportation you all did an amazing job with keeping our guests where they should be and there were no complaints whatsoever...the vehicles were beautiful and the drivers so very accommodating and polite.....thank you so very much!!!!!! A wonderful time was had by all!!!!! I just wanted to let you know that the limo was great for my wedding on the 18th. The driver was so helpful!! The limo was clean and perfect for the wedding party we had. Thanks for the great service. I will definitely recommend Newport Limousine to other people. I just wanted to drop you a note to thank you for the attention to detail that you provided us in preparation for the event of August 23, 2008. You and your drivers were a pleasure to work with. I look forward to working with you again soon. Tony's vintage Bently made the day and the photos! We would recommend him to everyone. The photo of the bride and groom in front of his white Bently looked like a fashion shoot and he parked in front of the entrance to St. George's with its red door which was the site of the ceremony. All was perfect! I just wanted to say thank you for helping to make my daughters wedding day perfect. the Rolls and the White Stretch were a very impressive duo! I cannot say enough about both drivers....they were wonderful. Thank you again for all of your help. I just wanted to say thank you to you and your company for the phenomenal service on Friday! John was fantastic and really went above and beyond. 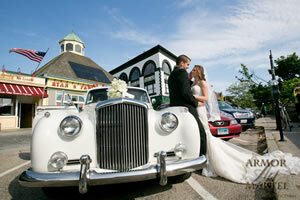 We wanted to thank you for providing us with wonderful transportation on our wedding day. Our driver (I regret that I forgot his name) was so nice and helpful, please let him know that it was truly appreciated. 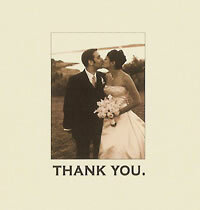 Thank you again for being part of our wedding day. Everything was great! I wish the hotel had a little larger of an entrance so it wasn't as difficult for the driver to get around, but otherwise it was perfect. Thank you so much for all of your help and guidance! Well, it's all over and done with, and everything went by like a whirlwind. All went extremely well, and our ride in the Bentley went very smoothly. The owner (I've forgotten his name already) was very nice and his vehicle was impeccable. Jen was very pleasantly surprised. Thank you very much and I will certainly recommend you if the occasion arises. PS Would it be possible to add a tip of $50 on my card to the bill for the owner/driver? Thank you. Good afternoon! I just wanted to write you a quick e-mail to say THANK YOU! 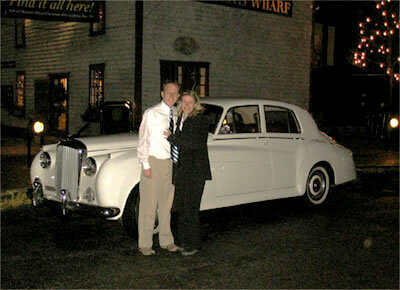 This past Saturday my new fiance and I had the opportunity to ride in the 1957 Bentley and it was incredible. She was so blown away by the entire proposal and the Bentley was like the icing on top. Tony was great! he even gave us a short little tour of Newport. As a military man we love it when things go exactly to plan and it couldn't have gone any better? so thanks to you and Tony for an AWESOME night. 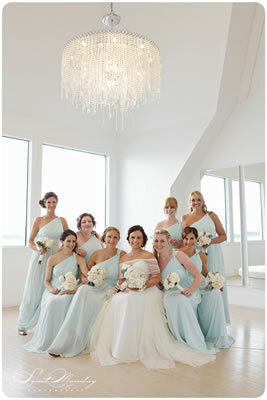 We will definitely be giving you a call when it's time to plan the wedding at Ocean Cliff. I attached a picture of us in front of the car after dinner. again THANKS! Last night was great. Everyone had an awesome time and thought the limo service was absolutely fantastic. If I ever need another limo I'll definitely give you guys a call. Take care and thanks again. Thank you so much for checking in. The wedding was fabulous. All three drivers were friendly, professional and a pleasure to work with. Thank you so much. I'll be contacting you for the next wedding very soon! "We're in the car on our way to Bristol. No traffic at all. Thank you so much!" "It was a phenominal evening and all the drivers were so courteous and absolutely outstanding! It was really fun - he was quite surprised! I was planning on emailing you to see if YOU had any concerns...towards the end of the night, my husband and his college friends were...shall we say...BOMBED! I hope they didn't offend the driver...you know how men are...the more cocktails they have, the more they regress in age! Thanks for all of your help - I've definitely recommended you to people here at work. I just want to thank you for your excellent service. Everything went off smoothly. Dennis, the driver did an excellent job. It made for a very pleasant wedding day. We had a wonderful wedding, and your limo service was a good part of it. The most carefree enjoyable part of the day was the ride from the church to the reception, and your chauffeur was a joy! 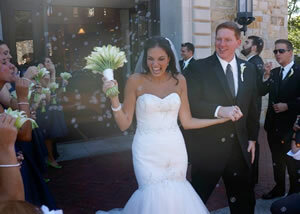 Thank you for helping to make our special day even more special than we imagined. Hi Judi ... everything went very well!!!! I'll be in touch with the photographer about photos .... I think tho that the photographer was only contracted until 10pm and the Bentley showed up for 11pm (as it was scheduled) .... but I will double check and of course if there are photos I'll make sure to get them to you!!! Love to work with you again and appreciated the excellent customer service!!!!! Thanks so much for all of your help at our wedding on September 10 this year. Everything went off without a hitch and the Rolls was such a treat. Nina was flattered you chose he photo for the website too. Please pass our thanks along to all our drivers too. They helped keep us on schedule and got us where we needed to go. We'll keep you in mind should we ever need transport in RI again!